Very tender ribs that literally falls off the bone. 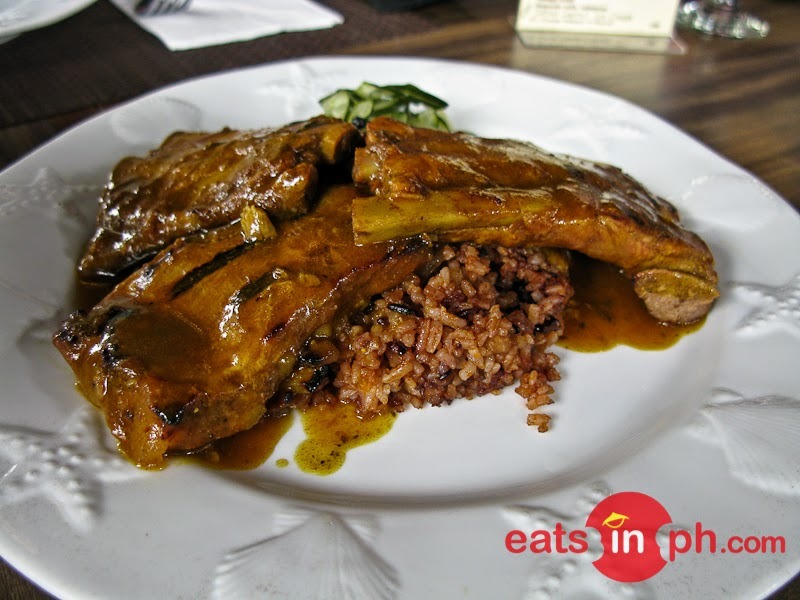 Served with organic rice, the ribs are poured with a special sauce; it's succulent, juicy and has a crunchy texture on the outside. This is definitely a must-try at Hill Station inside Casa Vallejo Hotel!